I am a newbie in oracle. I have installed VMWare workstation 7 on windows and my guest OS is Linux ES3. I have installed Oracle 10g Rel2 on the guest OS. Most of the things r working f9, except the RMAN. It hangs up when i enter RMAN at command prompt. Please suggest how to proceed. DO i need to check Bash Profile or some other area. When you change PATH environment variable and add $ORACLE_HOME/bin directory to it, and when you issue rman target / command, system looks for rman executable in all directories which were registered at the PATH environement variable. There’s an rman executable (non-Oracle rman) at the folder /usr/X11R6/bin and it comes before $ORACLE_HOME/bin directory at the PATH environement variable, so system runs that file. I cleard (java)SCJP,SCWCD certifications.now i want to oracle certification.can you tell me.which certification exam is suitable for me(sql queries). and how can i prepare step by step clearly. Iam having 3years of experience in app testing,Now i made my mind to work on a better technology and completed RHCE/OCP 9i but i dnt have any realtime knowledge. Can you tell me how to make my subject strong so that i can put 2years of experience as a oracle Dba. hi firstly i want to thank you for the help you giving to us new dbas,i managed to install oracle 10g database after following your guide. now i need help on to install apex on the same database. so you have another step by step guide for that. How are you , Thank you very much for helping me out. Iam having a doubt . What are the main advantages of creating DATABASE manully . And hw to allocate SGA to a particular user. Hello Big Bro, The information which you had provided is really good but its very high level for me to understand i think unless any realtime experience i cannot understand. Can you suggest me how to practice real time at home on network iam having 2 systems. The reason why iam asking this is because lot of my friends are good at concepts but when it comes to implementation stage the cannot explain why it is like that. what kind of errors u faced with respect to developers. So Brother what exactly i want to know from you is the above mentioned points how can i practice at home with the help of two systems . And bro People like you make life easy for people like us. And by browsing your blog iam building confidence day by day. I learnt many things.And iam very thankful to YOU. I want to start up with the Oracle can you guide me how to start with Oracle. I want to be a Database Administrator. I really liked the way you explained the steps for installation. I would really appreciate if anyone else who has experience installing can post the link. How are you? hope you are good over there. I trained my Oracle9i in Linux on 2007, i wrote SQL and Fundamentals II exams. Bcoz of some circumstances i need to change my field to Purchasing, now i would like to join as an DBA. 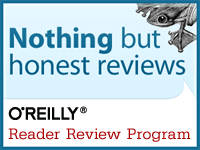 I want to refresh all my past scripts of SQL and Oracle. I have installed Oracle10g in my Windows Vista. Please help me to refresh all the scripts from the begining. If you send any tutorial guide or video it’ll be much useful for me and appreciatable for you. About whicih script are you talking? Could you elaborate more please? Thanks for your prompt response. I would like to learn all the practical lessons with video tutorial or picture view from the basic after installation of Oracle 10g in Windows and i need to know from where i can install the patches. Because i am new to Oracle on Windows, please let me know from the begining to learn. Because i am in the situation to shift the job as DBA, please try to help me out brother. Please clear to solve the problem,, Is there any other credential will use? . Sİzin anlatımınıza göre centos ve oracle enterprise serverlar üzerine oracle 10g r2 kurdum.Elleirnize sağlık.Şimdi bir sorum olacak.Ben bu iki database i birbirleri ile konuşturmak istiyorum.Yani oracle enterprise üzerindeki oracleden centostaki oracleye yine centostaki oracleden diğerindeki bilgilere ulaşmak istiyorum.Nasıl bir yol izlemeliyim.Teşekkürler. i am working as peoplesoft dba on AIX OS.I am looking for more documents and scripts related to peoplesoft admin and any peoplesoft enhancements from oracle company. kindly let me know if any new updates. I want to become an Oracle DBA. I have started learning Oracle 11g DBA with “Oracle for Dummies”,”Oracle Beginners Guide”,”Oracle SQL” which are Oracle Press Books. I java if we learn any new concept we practise programs through examples.But in Oracle what kind of examples can we practise with.Where they are available?. Also tell me the Best way to Start Learning Oracle 11g DBA. I also would like to know Whether the openings for Oracle will be more as For Java Programmers. And What wiil be the salary range for a novice Oracle DBA in India? Do you have any performance tuning video ? May Allah swt accept and grant you success in this world and the hereafter. i saw your videos really its amazing… the videos are like “spoon feeding”, thanks for you help… you are helping a lot to world..
can you tell me what is the better way to migrate database from enterprise edition to standard edition..
Hello Mr.Kamram can you suggest me any web site where i canfind the Video on Oracle 11g Architecture? I see you have been doing a great job by helping society and mankind,thats the best service our Prophet (PBUH)has asked us to do. I am a newbie in the field of IT and Oracle in particular,I would like to get your help on me getting hands with Oracle Financials EBS.R12. I need your help. I have a question to you please i will be very thankful to you if you assist me how to do it. My Question is: How i can connect two linux virtual machines in vmware? I have install vmware workstation on Windows 7 operating system. 1) In VMware workstation i made 1st virtual machine of linux 4 and install oracle 11g on it with database ready. 2) In Vmware workstation i made 2nd virtual machine of linux 4 and install oracle 11g on it without database. Now my question is i want to play with this two virtual machines as Client and Server. now i want to connect from client to my server database using two files i.e. listener.ora and tnsnames.ora. I justed wanted to know how i can ping with these two linux machines. If you suggest me help with snapshots i will be very thankful to you. i dont have two pc though i am working on my laptop someone has suggest me it can be possible in vmware workstation to communicate with client and server. please assit to do schema separation steps Developement database . Could you please elaborate more? Do you want to migrate a schema or anything else? im trying to become a dba with self study..my question is -on which os is better to practise dba i.e on windows(gui)or linux(command line)…i dont know much about linux…this is my problem…..plz give me reply…. I have installed Oracle 11g for windows on Windows 7 and installed Solaris 10 x86 on windows 7 as host and Solaris 10 as guest through Oracle Virtual Box.I have also installed Oracle 11g for Solaris on Solaris 10. Now i want to make Windows 7 as client and Solaris as Server.How can i do this? Do you have any videos on this. Thank You Very Much Sir…………. I regularly visit many of the top Oracle Blogs.But the thing which i found really good in this blog than others is your blog is very Interactive to those seek your help. Thanks a lot for your Kind Service towards us. At present i am a Sun Certified Java Professional.I want to Become an Oracle DBA since i found it is more challenging than Java.So i need your suggestion for the start up. I hope that you would suggest the best. What is the exact Difference between Oracle Application server and Oracle Data Base? thank you for helping the newbie in oracle database. please i want step by step installation of oracle 10gR2 on red hat Linux 9. i will be glad if you would help or you can send it through my mail. thank you. I’m Hemanth.Right now i’m pursuing B.Tech 2nd year under Electronics dept.But i want to become an Oracle DBA. I heard about your blog from Tejaswi who had posted some threads in this blog. As i’m pursuing engineering i can’t afford time to got for Institutions for Learning DBA.So i would like to prepare at home. 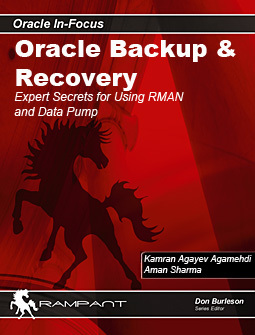 Dear mr kamran, please i want to work with oracle RAC so i will be happy if you can help me with it. thank you. I want to learn Oracle RAC can you help me on this if you have any Oracle book for learning RAC or video which was created by you please share with me. Good job kamran, i have a doubt in my certifications. I wrote Oracle9i SQL and Fundamentals-II on 2007 and i did Oracle10g AdminI&II with the same testing id of 2007 in this November. I wanna know whether i completed OCP or not? Very thanks for your help, i have merged the exams which cleared. But, when i click the Certification Status its showing as OCA not as OCP. Thanks for your info, i updated the course submission form accordingly. hello, how are you? I hope every thing is well. my name is mehdi from iran, Azerbaijan. I am very glad to see your web site because you are really senior at oracle. i need your help. 9 month ago I apply for take state sponsor from victoria in australia in oracle DBA, but they rejected my application in spite of my good resume and experiences(more than 8 years experiences) . I really was shocked due to this matter. Mr kamran ,would it be possible send me a sample senior oracle DBA resume that help me to take sponsore this time. Good Morning, i am Mohan from India..i saw ur video’s very nice. i need to how to install oracle 11gr2 on OEL.so i would request you to put that video if possible. I’m Installing Oracle 11g R2(11.2.0.1.0) On Oracle Enterprise Linux Media Update 6 . I’m Totally a Newbie to Linux Os. So i don’t know how to map the Host to a =n Valid IP. I want to install sqlplus into putty. Can you give me some insight, step by step. I’m new to the Oracle field and I will be graduating within two months and I want to practice. What do you mean with installing sqlplus into putty? The reason I said that, is because I use sqlplus in putty through my school, however they give me a password, but it expires pretty soon, so I want to configure sqlplus in putty. How can I install oracle and putty to contact to a database. My heartiest thanks to you for such a wonderfull document related to ORACLE RAC installation. You are doing a lot for this world. I have an experience of 1 year on different technology.Now i want to shift to Oracle DBA showing experience of 1 year. What are the questions and what level,the Interviwer may ask and what are the difficulties i may face after i join so that i can prepare as of now. I follow your posts, which are really nice for our day to day life. Thanks a lots for your effort. I need one favour from you. I want to install Oracle 10g R2 in text mode in an unix server. Sir waiting for your response. Hope your doing great…I wanted to know where the listener log file in text format will be present. (I mean the location of the listener log file in Text format. ).Could you please let me know the location of the file in ORACLE 11g Database. thanks for other videos …these are very helpful. Thank you .Thank a lot for ur help. would u prefer me . please sir i am waiting ……..
For any user there is a .profile in the users homedirectory. lot of thnx for quick reply.but the problem remain same. i have to login again and again to start the sqlplus with export ORACLE_HOME,export PATH,export ORACLE_SID. as u have suggested to edit the etc/profile i have done so. # The profile that all logins get before using their own .profile. #	Login and -su shells get /etc/profile services. #	-rsh is given its environment in its .profile. #	Allow the user to break the Message-Of-The-Day only. I need your help.please i will be very thankful to you if you assist me how to do it. i need oracle 11g installation on windows. we are using oracle 11 or another machine after installation, need to restore backup as well. I have successfully migrated Oracle database 10 R2 from windows server 2k3 to Linux 5.0 using user video.Thanks for that. Cloud you send me post Step by Step Installing Oracle Database on Red Hat Enterprise Linux6.0. I have complete within two days. Please help Me Send it as soon as possible. I am migratig oracle 9i DB Schemas to Oracle 11g through exp/imp utilities (This is because of user need). There are two schemas have bigger size nearly 180G and 120G. If I used exp/imp utility then it will take minimum 3-4 full days to complete the activity. I will not get that much down time. Can you please suggest which utility I can used other than exp/imp to migrate those schema which will not take more than 4-5 hrs. Thanks in advance and waiting for your precious suggestins. Such a good technical stuff to learn. I’ve just step in to oracle clustering. Can u guide me to setup a RHEL 5 based (Cluster suite) cluster with oracle 11g r2 failover in active/passive mode. Where, I node will have the share san volumes mounted and DB running at a time while the passive node will live idle. In case of failure of primary node, the cluster resources (i.e. share san vols, virtual ip etc). will relocated to secondary node, and DB in primary node shutdown properly and then start on secondary node. After resolving the primary node issue, as soon as it get online all the services & resources again shifted to primary node accordingly.